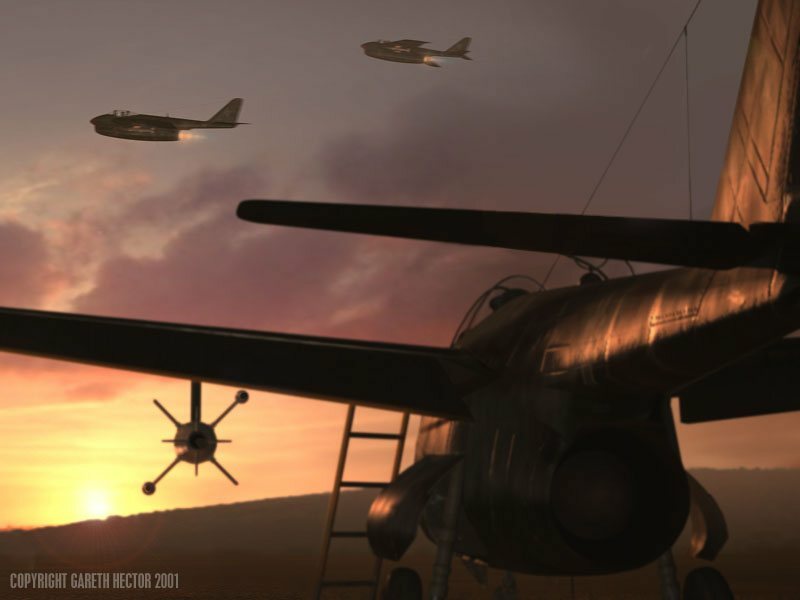 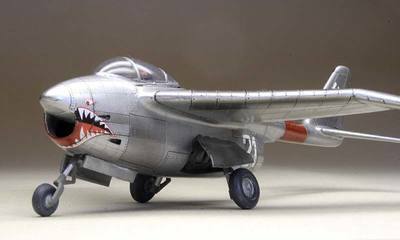 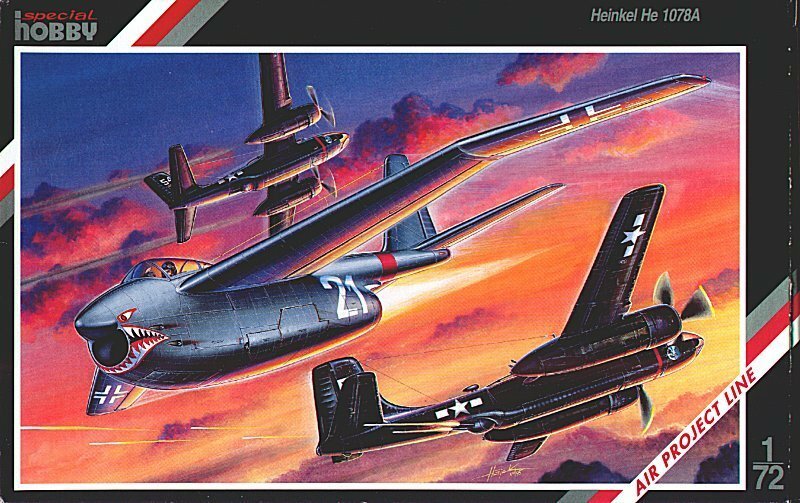 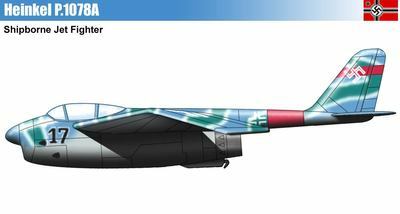 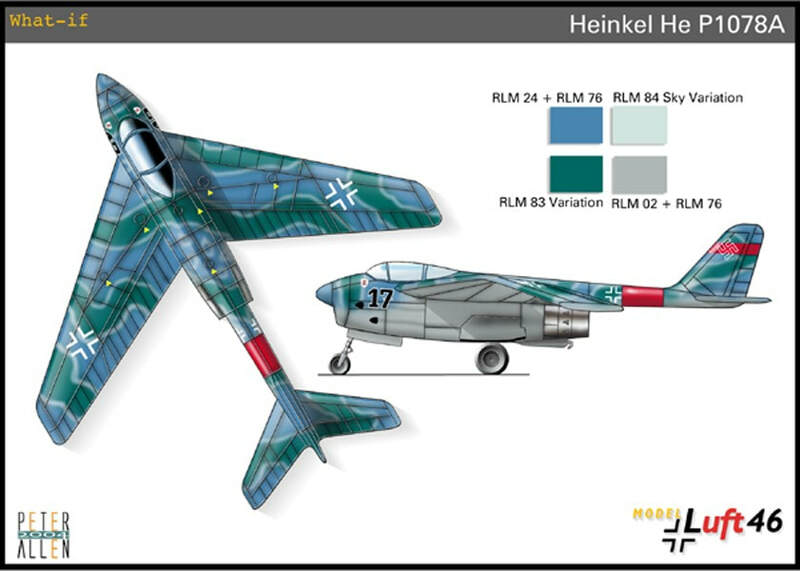 Heinkel produced three different designs of the P.1078 for the OKL Emergency Fighter competition in 1944. 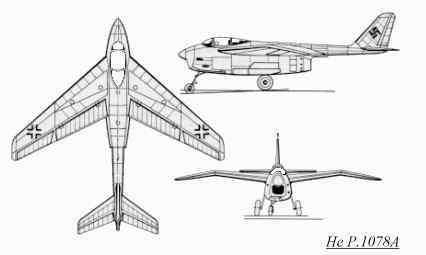 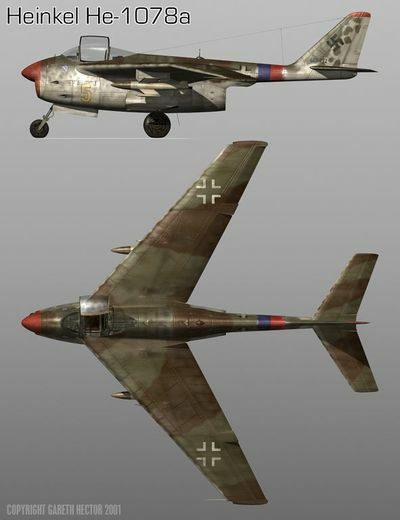 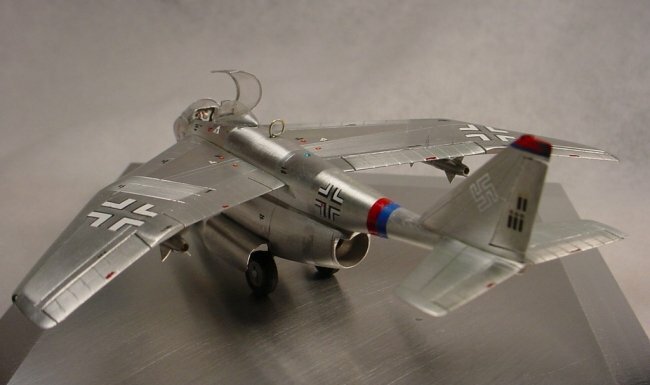 The jet powered interceptor Heinkel He P.1078A was a single-seat fighter armed with two MK 108 cannons in the nose. It was the most conventional-looking of the three designs submitted as it was the only one having a tail. 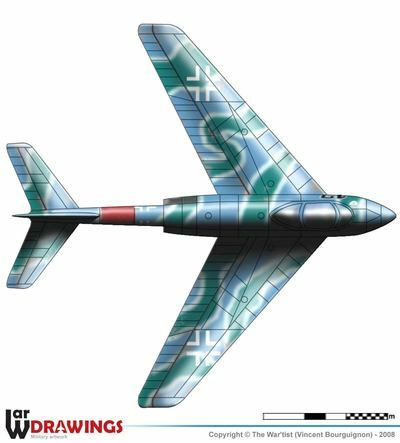 The shoulder-mounted gull wing was swept back at 40 degrees, and was powered by one HeS 011 jet engine located beneath the cockpit and exhausting under a central tailboom.